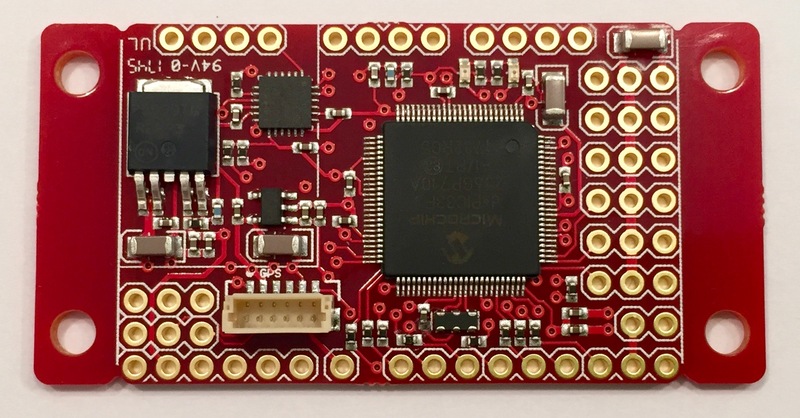 The UDB5mini (UAV Development Board version 5, miniature version) is based on UAVDevBoard5, originally co-designed by Bill Premerlani and SparkFun. It comes populated with a dsPIC33FJ256 CPU, and MPU-6000 (3-axis gyroscope and 3-axis accelerometer). By itself, the board can be used to develop a three axis IMU controller. 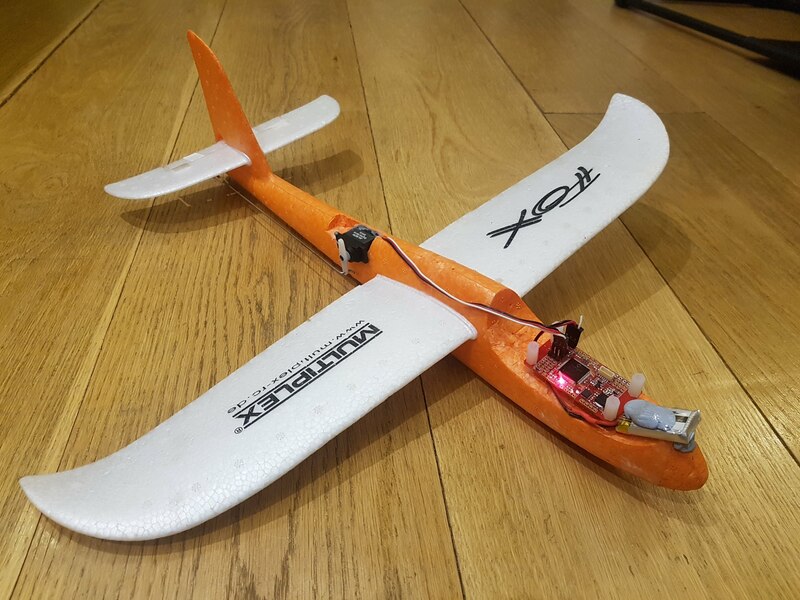 By addition of an EM506 or uBlox M8Q GPS receiver, it can be used to develop a UAV controller for an RC car, plane, helicopter, multirotor, or boat. The open source MatrixPilot project provides a fully functional autopilot firmware, or its libraries can be used as a starting point for you to develop your own control and navigation firmware (example projects are included). 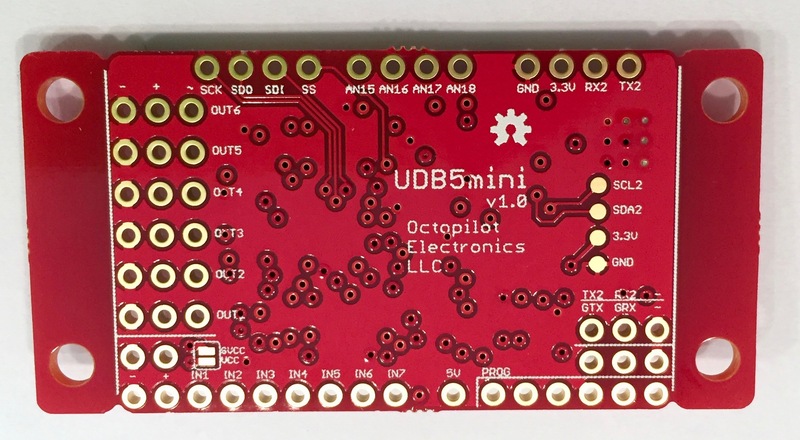 We’ve made a few changes from the original SparkFun UDB5. The external EEPROM has been removed, and the PCB's form factor is now smaller, and includes cut-away sections with mounting holes, for those who want as small a package as possible. There is also new hardware support for directly interfacing with the built-in voltage and current sensors included in some Castle Creations ESC models, using the CastleLinkLive protocol. 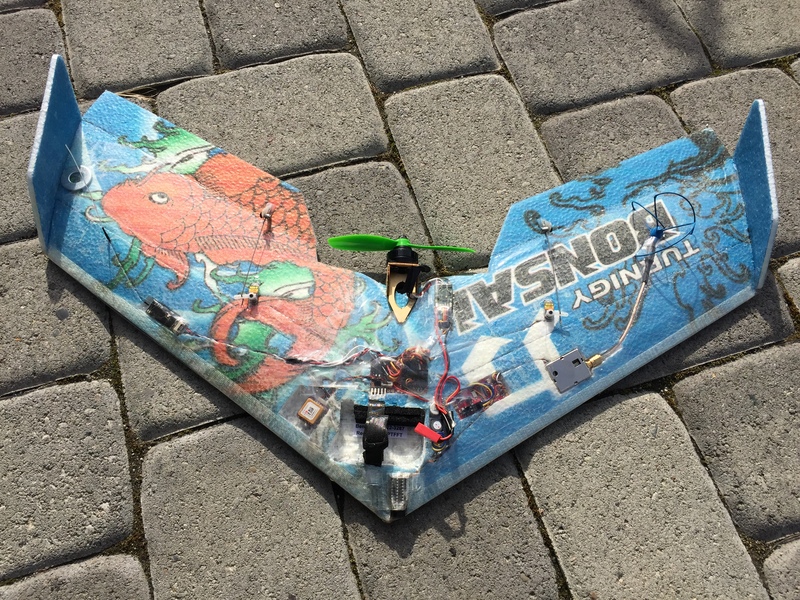 The board is 2.2" x 1.1" with the mounting hole strips, or 1.7" x 1.1" if you cut them off. 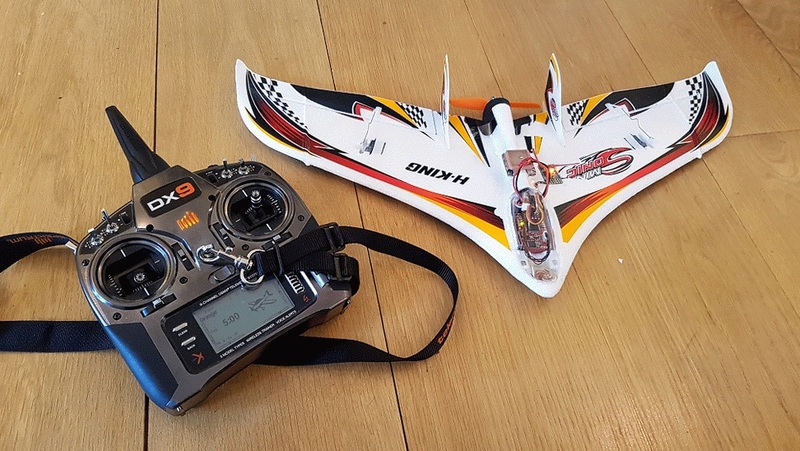 The UDB5mini along with the uBlox GPS linked below and the connecting cable, adds just under 1oz (~20g) to your plane. Note: For programming (required), we recommend the Microchip PICkit3. Note: A GPS module is not included. The following GPS units are recommended. The uBlox M8Q is tiny and has the best accuracy and responsiveness. The EM-506 is very well tested, and easiest to wire up. You can find the Matrix Pilot software repository here. This project is Open Hardware! Board schematics and layout files are here.